Join us at the brand new 2nd Cycle shop on Sunday November 2nd to celebrate DIY bikes. Meetup at 10:30 to get ready, roll-out at 11am for a loop ride around the Hilltop neighborhood. We'll return to the shop for snacks and a hands-on tutorial for kids on how to change a flat tire. Let 'em get their hands dirty - that's how they learn! 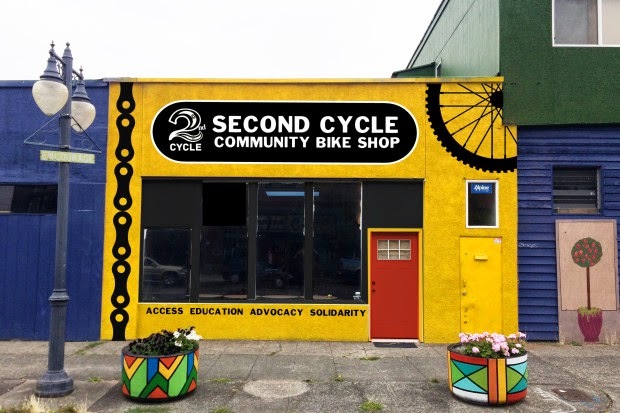 2nd Cycle is a community cycle center where you can buy new/used parts and shop time. They help teach you how to use the tools to repair and maintain your bicycle. It's an empowering concept that your kids will love. Their old shop down the street has been an amazing resource for both the Hilltop community and Tacoma at-large. They are making the transition to this new, permanent space at 1205 MLK Way throughout the month of October. 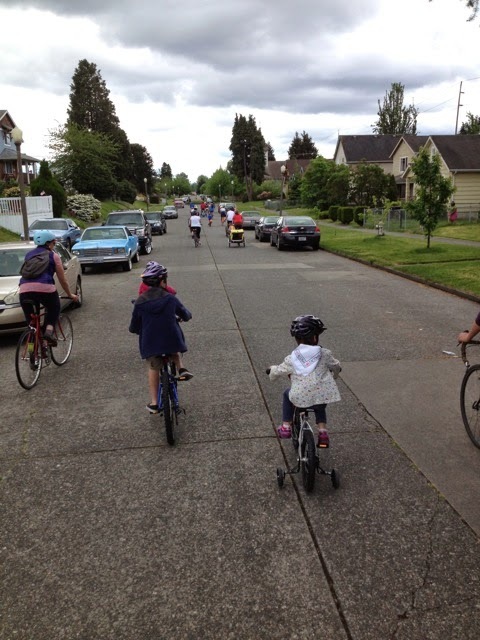 This is a free event sponsored by the Tacoma Wheelmen's Bicycle Club, but donations to 2nd Cycle are appreciated and encouraged. You can support them in-person at the shop or through their IndieGoGo site. This is our first winter ride, and we're expecting it to be a little chilly and wet. Dress for the weather, or just join us at the shop. The route will be almost entirely flat, 2-3 miles, and rideable for riders of nearly all ages and abilities. Email Matt the ride leader if you have specific questions. We love riding in Hilltop!